Question: What Avatar Action Figures/Vehicles are your favorites? 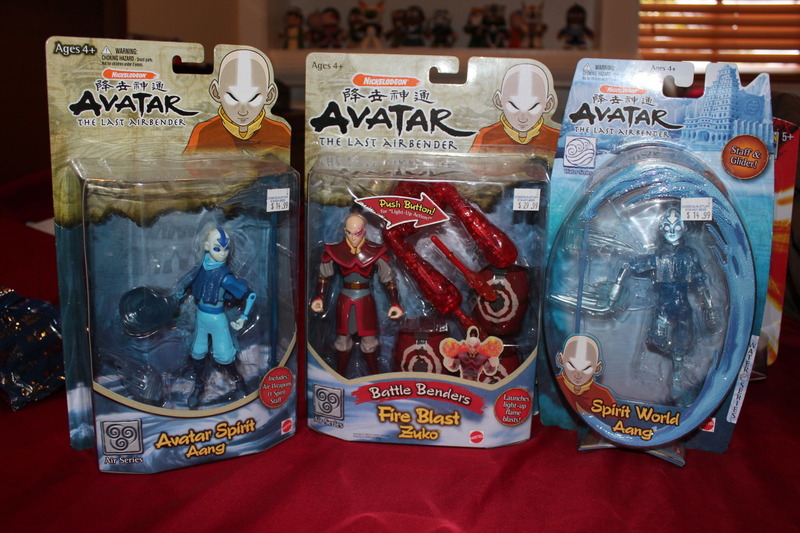 Hey guys, I was wondering if any of you had any Avatar Fire Series figures that you wanted to sell? I know I'm coming to this forum fairly late but I would like to acquire this series so as to complete my A:TLA toy collection. Let me know if you're interested in selling some to me or if you know where I can get them. I'm willing to pay a good bit for them. Thanks guys! Avatar Action Figures...to open or not? Somehow this store ended up having 5 Avatar figures still in stock, for a VERY good price, and they were 5 that I didn't have in my collection already! Now i have a dilemna. The other two I got in December, I opened and put on display, but now i'm conflicted as to whether or not I should do that with these? Will they ever increase in value? I already have an Aang and Zuko on my display (though different outfits) so these guys aren't a necessity to display. I don't know what to do, what are your opinions? Re: Avatar Action Figures...to open or not? I would leave them in the original packaging. You got to open some already. For example: I still have Pokemon merchandise that's still in the packaging. You never know what'll be valuable to someone later on if you want to sell it. Plus, you can hang them up on your wall. Advice threads are not allowed on ASN. However, since you're talking about getting your figures for a good price, thread merged with the existing action figure thread. I have them stored in my closet for now until I find some wall space! I'm always in favor of opening action figures. I don't see how having a toy in its package is any fun. I have that "Spirit World Aang." Ironically, "Avatar Spirit Aang" looks a lot more like the character did in the Spirit World in the cartoon. I'm not even sure what a transparent Aang is supposed to be evoking. Hm...for now, you say. I understand; sometimes the temptation is too great and you end up ripping the packaging to shreds just to hold the new toy, then realize what you did and cry for a little while. No, that didn't happen to me at all. Out of curiousity, what Pokemon figures do you have stored away? This has always been my logic. I've always said "I don't buy things for them to go up in value, if I buy a toy it's for me to have and enjoy while it's in the package" but at this point in my life, i'm 21 and i'm not really going to play with them. I can display them just as well in the box as I can on a shelf. I think at some point in the future when I have my own house and Nerd Mancave I will open them all and have them on an epic display. Avatar Spirit Aang and Spirit World Aang don't exactly make sense to me at all. I mean Avatar Spirit Aang should just be Aang going all glowey. Spirit World Aang makes sense because all the spirits are blue and transparent in the real world, but his eyes and arrows shouldn't be glowing. I purposely avoided these figures when they originally came out because I wasn't a fan of them at all. I've actually never really regretted opening an action figure . I have a Rick Grimes action figure from the first series that's a variant figure in black and white instead of the normal color one, and he's already going for 90 bucks on ebay. I never opened him simply because he was my only walking dead action figure and he wouldve been out of place on display all alone. Now i've made it my mission to collect all the Rick Grimes action figures just for fun, I have all 4 Rick Grimes action figures pinned on my wall in a row. If I don't open my toys it's usually because they look better in the box, or i have no room to display right now! The pokemon toys I have are the original ones that come with those plastic pokeballs and little discs. I have 4 packs. One with (Fat) Pikachu and Raichu, one with Jolteon and Vaporeon, one with Clefairy and Clefable, and one with Dragonair and Dratini! I have all of those opened as well. I got these 4 packs recently at a garage sale for a dollar each and I couldn't resist. My love for Pokemon is on par with my love for Avatar. I kind of regretted having my Star Wars action figures opened, just because they were so cool. But my mom opened them before I knew what she was doing...I thought she was being awfully quiet. I asked her why she did it and she said that there wasn't any sense in keeping them in the box. Kind of wisdom in its own right, I guess. I did have a lot of fun playing with them when I was a kid. Chalk one up for Mom. Wow, you would never think it but a lot of those packaged toys are collectable for sure. People will pay big money just to get one in the pack(I don't really see the logic, but there are die-hard collectors out there that want the mint-pristine stuff). I think it's a mindtrip to see stuff from the 90's in packaging, like Power Rangers toys. I opened them and played with them without a second thought. Of course, I was about 6 or 7 back in '93 when they came out. Wow, I would love the Jolteon and Vaporeon, or the Pikachu and Raichu. Or really, any of them. I have a pretty decent Pokemon collection. I just started mine up again about 2 or 3 years ago. It's kind of amazing that as an adult sometimes you're still interested in the stuff you were when you were a kid. But I like to think of myself as a kid at heart...just with a lot more responsibilities now, haha. No way, a dollar each? Whoever that was just wanted to be rid of them once and for all. I have a box of unopened Pokemon cereal that someone kept from the '90's and I got it for a dollar, also at a garage sale. It's one of my favorite parts of my collection. I feel the same way you do; Pokemon = Avatar for me. The person I bought them from had multiples of each one as well. They clearly bought them with the intention of holding them for a while until they increased drastically in value, but then got tired of storing them. So I bought one of each they had. They also had Pokemon Marble collectibles, but I didn't buy any of those since I never had them as a kid and really wasn't interested in them now. Sure they may also be worth something one day, but not to me. If i'm going to hold something for a while it has to be something I enjoy. I wont go out and buy a collectible Naruto action figure just to profit one day, because it's not something I like. ^ What a lucky find. I love it when they just want to get rid of something, then they'll sell it for quarters. I would have loved to have bought the Pokemon marbles, just because I like to collect "odd-ball" marketing things like that, not just figures. I think that stuff has more of a "fun-factor" thing going, not so much as real monetary value. Chances are, I'll never sell any of my collection anyway. I won't do that either, I have no use for anything that isn't cool to me. It may get you a $20 down the line, but I really don't want it cluttering up space either. It's highly highly highly unlikely that I will ever sell anything in my collections, cause like I said I only collect stuff that I like. But it's nice knowing I could possibly own an action figure of a franchise I lvoe that's worth a lot of money. Same here; I don't want to part with the stuff that I've sought out and bought. However, if I were ever to stumble upon something that I owned that was going for a decent amount of money, it would be nice to hear but I still wouldn't sell it. I guess I'll just leave that up to the ungrateful grandkids who would likely go through my collection with little or no disregard and throw it on a bonfire somewhere. This is my lifes biggest fear. I guess whatever peculiarly misogynistic person controls the action figure decisions for Nickelodeon couldn't stomach the idea of actually having to greenlight a Korra figure. Either that or he failed to pitch a line of Legend of Korra action figures that only included Mako, Bolin, Tenzin, Pool Party Bolin, and of course, Gommu. I'm thinking of picking up an Avatar Roku action figure. But did they never make an Iroh action figure? That's the one I'd really like to get. \\\"Pride is not the opposite of shame, but its source. True humility is the only antidote to shame.\\\"
Keeper of Korra\\\'s misadventure with the powder puff and the Korra = Amon = Aang theory. I own a Roku. He's a pretty cool toy. Sadly, I don't think Iroh was ever made, not even as one of those late wave that only saw release in Mexico. Ozai and Bumi got toys, but not Iroh. Awful. Why would Bumi, of all characters, get a toy over Iroh? That's odd. Can anybody answer why the heck there isn't action figures for female characters? Oh, nearly forgot: boys don't want to play with female characters, so why bother making them? What boy in their right mind would want a female character to play with? Girls aren't cool enough to play with. Female characters typically sell horribly at retail. That's also why the Yellow and Pink Rangers are shortpacked in Power Rangers cases (i.e. there are far fewer of these characters in an assortment box than the others). Usually it's the collectors who buy up female characters, as sales data from collector-driven lines like Masters of the Universe Classics, G.I. Joe, and Marvel Legends demonstrate. The latter two lines have decades of support and plenty of little kids that buy the male mainstays like Duke, Flint, Captain America, Iron Man, etc., thus boosting sales and allowing the female characters to make it onto the shelves in small amounts. A new brand like TLoK, however, does not have that kind of marketing power behind it. In other words, the only way you will ever get a Legend of Korra toyline is if (a) a collector-driven company like NECA, Mezco, or Mattycollector (Mattel's collector action figure unit) decide to take a big chance on the license, and (b) you sign up for a year-long subscription that is sold online rather than in brick-and-mortar stores. 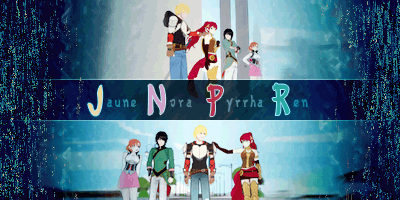 "And just as the imagination is limitless, so too are the possibilities of the sword." ^ THANK YOU, this is exactly what I was thinking. I've heard of several instances where a male fan (both adult and child) is looking for a female character toy, but can't find them. I remember a post someone made on Tumblr where they said they worked at Target or something, and a distressed mom came up and asked them if they had any Arcee toys because her young son wanted a toy of his favorite character. The person was able to find one, and the boy got really excited when he got the toy. I know my brother would be upset if we didn't have an Arcee toy to go with the rest of our group. He still is upset they never made a Katara toy, and he would DIE if they ever made Korra toys. Toph is actually his favorite AtLA character. I think if there's any evidence of Female characters not selling toys at this point, it's because of the self-fulfilling prophecy. The characters are shafted in the fiction, or their toys are shortpacked, or the Male toys are given better gimmicks or advertising, or cultural programming, etc. Things are going to change eventually, and Transformers and Star Wars prove that it's possible to sell Female action figures, and the TMNT line has an April in its first waves, so it's just a matter of chipping away the common logic until no one remembers it any more. I don't think there will be a big break-through like movies are undergoing with Frozen and Hunger Games, just more and more toys added to toy lines here and there, until it's not a big deal anymore.